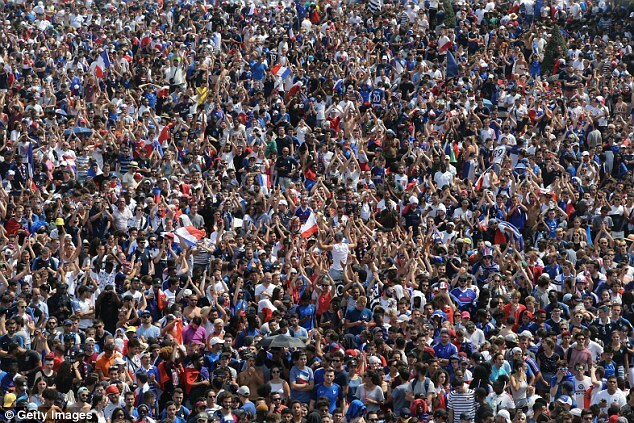 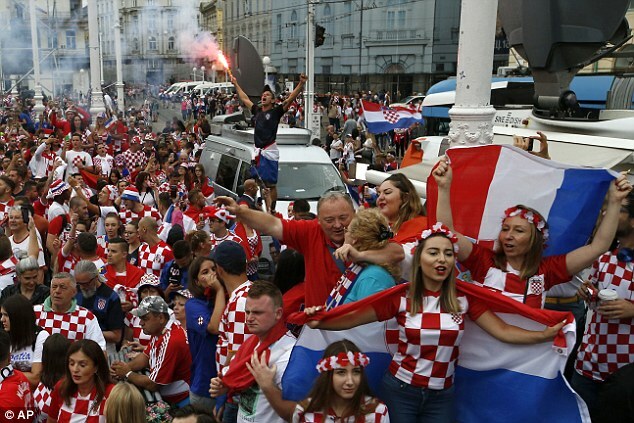 Croatia and France supporters gathered together in their respective capital cities on Sunday as they prepared to watch their sides take part in the World Cup final. 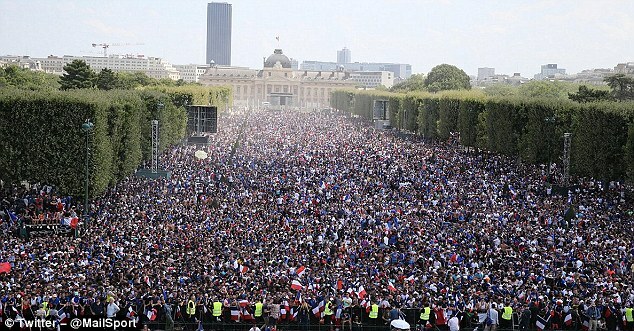 Les Bleus fans took to a fan zone set up by the Champ des Mars waving flags and unveiling signs to show their support for their team. 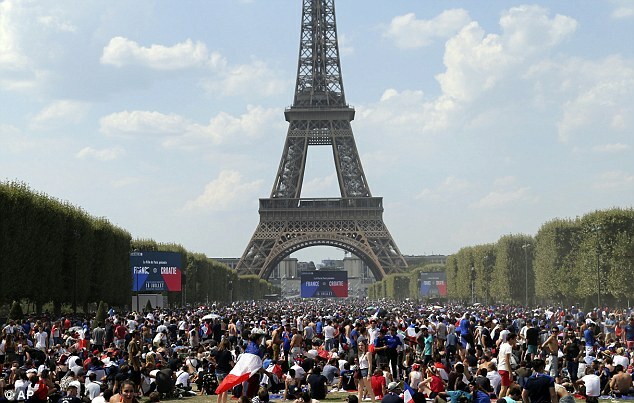 The French have laid on a huge park with a giant screen to show the action but supporters at the back of the crowd will be straining to see given how many congregated to watch Sunday’s game. 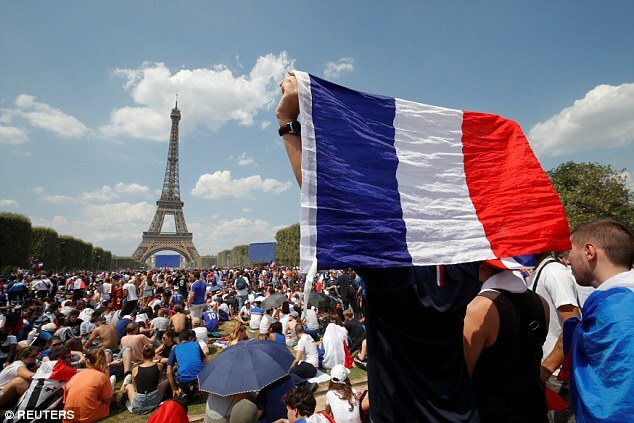 France fans were spotted showing their patriotism beneath the symbolic Eiffel Tower with flares set off as they marched to the fan zone. 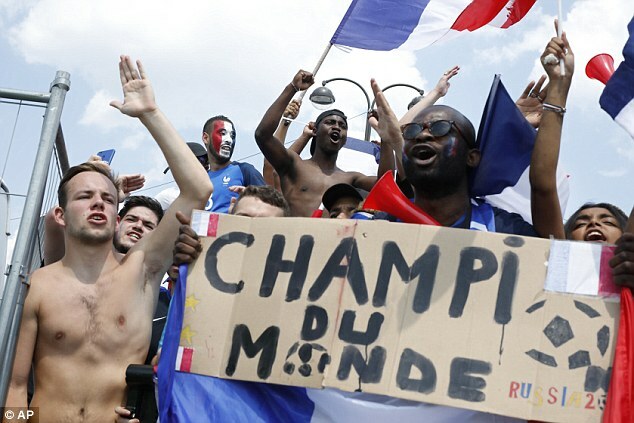 One Les Bleus supporter even unveiled a ‘Champi du Monde’ banner in a show of supreme confidence in his national team. 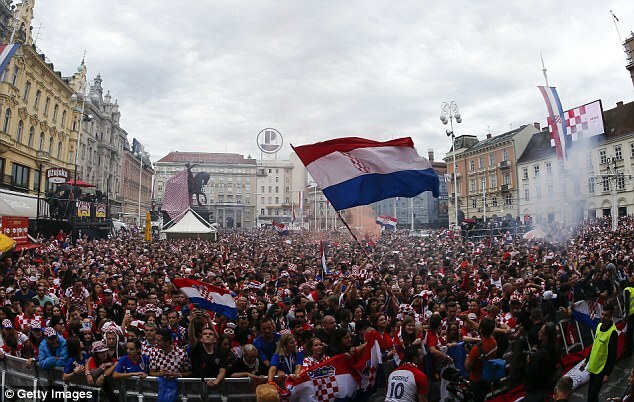 Croatia meanwhile were busy showing their colours in Zagreb’s main square as they chanted and cheered on their side hours before kick-off. 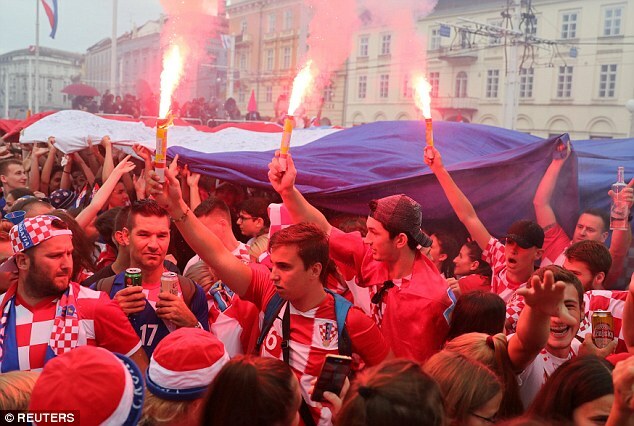 The Croats let off red flares and partied with fake World Cup trophies as they dared to dream ahead of their first-ever final. 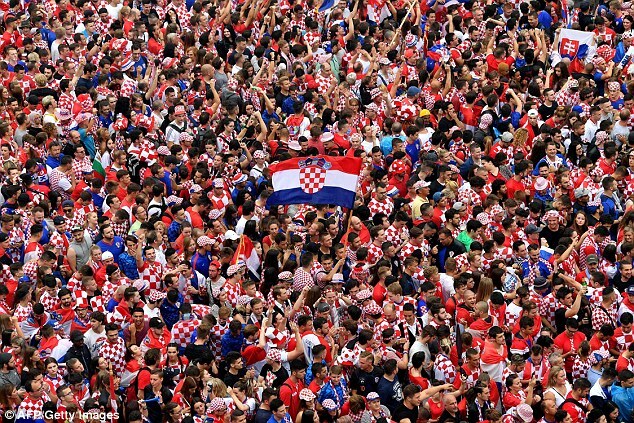 Sunday’s final is a rematch of the 1998 semi-final, where France overcame Croatia 2-1 on home soil en route to winning their first World Cup. 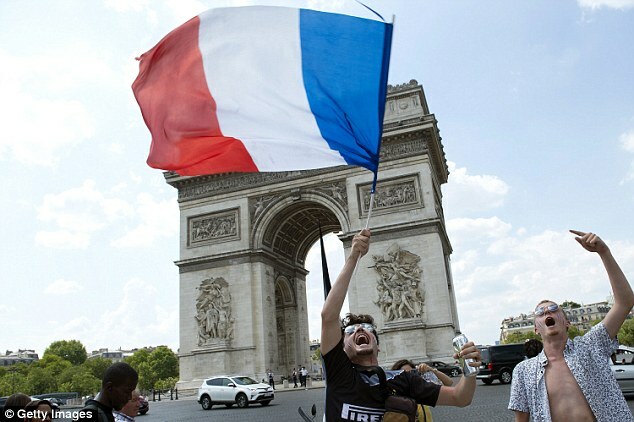 France are the favourites to lift the Jules Rimet for a second time and advanced after beating Belgium 1-0 thanks to defender Samuel Umiti’s second-half header. 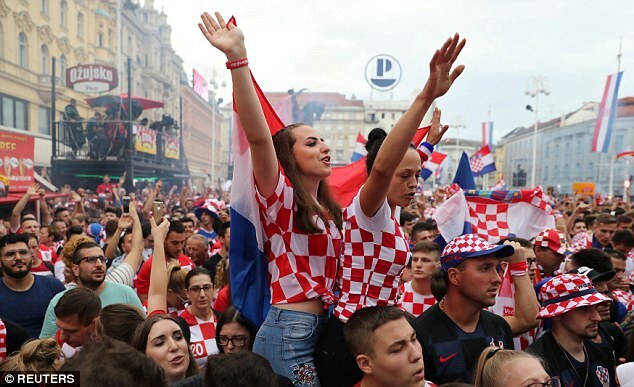 Their manager Didier Deschamps was captain when they won two decades ago and is on the brink of leading France to glory once again in Russia. 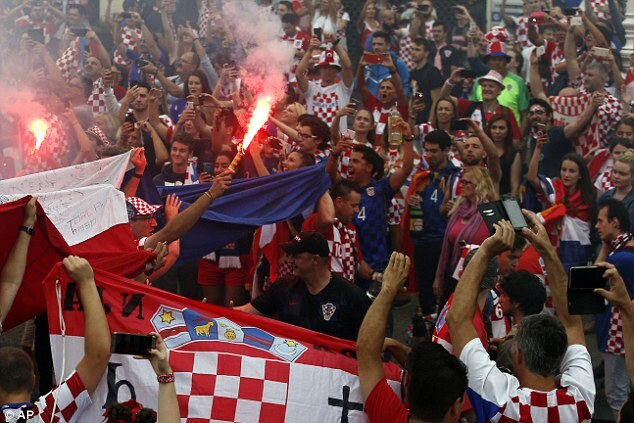 Croatia came from behind to beat England in extra time in their semi-final, Ivan Perisic and Mario Mandzukic’s goals cancelling out Kieran Trippier’s opener.